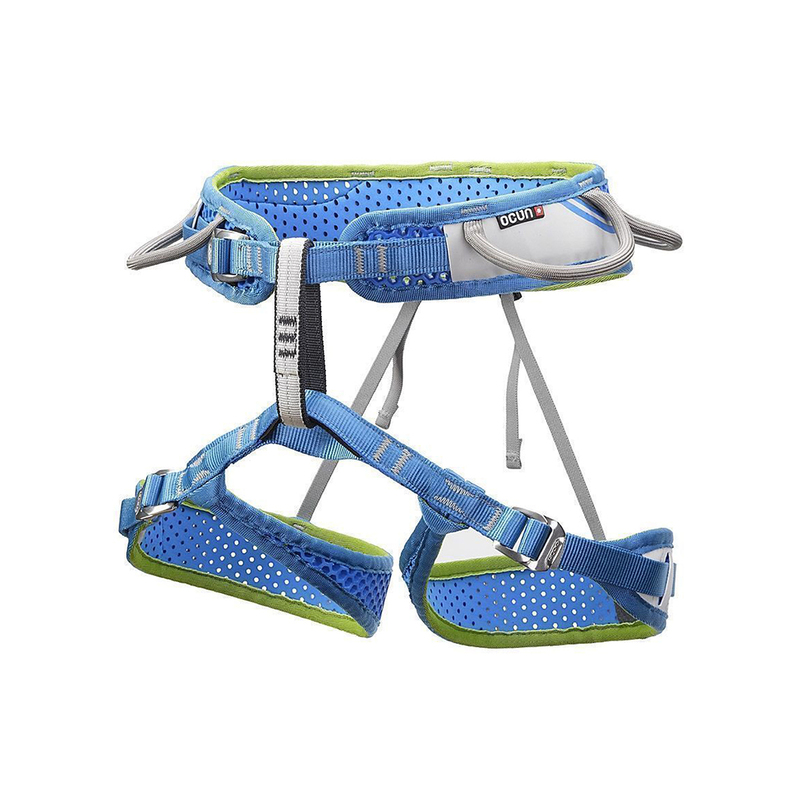 Lightweight and highly breathable 3 buckle harness that is suited to all types of climbing. The padding is water repellant and highly breathable so remains comfortable through all seasons. High performance without the high price tag. Really love this harness: it's comfortable and really lightweight, as the title suggests. The overall build quality is pretty sturdy despite my initial impressions of the Webee material being a little plastic-y -- it's light and easily malleable, fits just right, and doesn't feel like your legs are gonna get sliced through with floss when you fall. I thought the gear loops were going to be soft from looks of the picture, but apparently they're reinforced inside and well made. I personally haven't crammed it full of gear but I do believe it can hold up a decent amount of kit based off how many loops you have. I don't really have much issues, and it's only been the first few months of use so far.